As an InRoads college intern, I once heard a workshop facilitator say that if you’re on time for an interview you’re actually late. I could understand how arriving 15 minutes early for an interview was beneficial because it allowed me time to freshen up in the bathroom and to mentally prepare for the interview. I also understood how arriving after your interview was set to begin was not a good idea, but I didn’t understand how being on time still equated to being late. Over the years, I’ve come to understand what the workshop facilitator meant. 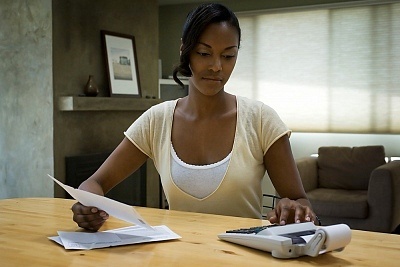 Doing things early has its advantages in many areas of life, especially when it comes to eliminating credit card debt. Most people obsess over their interest rate. However, I think people need to pay more attention to their billing cycles; when it begins and ends each month. By definition, the billing cycle is the period of time between billings. A billing cycle may start on the 1st day of the month and end on the 30th day of the month. Or, it may go from the 20th of one month to the 20th of the next. Billing cycles are varying lengths, ranging from 25 to 45 days, depending on the credit card and the issuer. During the billing cycle, purchases, credits, fees, and finance charges are posted to your account. At the end of the billing cycle, you are billed for all unpaid charges and fees made during the billing cycle. Your credit card payment is due 20-25 days after your billing cycle ends. The period of time between your billing cycle end date and your bill due date is known as your grace period. It is also important to note that interest begins accruing on the balance of your account at the end of the billing cycle. Most credit card companies begin calculating the interest on the amount we still owe at the beginning of the grace period on a daily basis. By the time most of us think to pay our credit card bill, it is almost 20 days into the grace period which means that we are actually paying 20 day’s worth of interest, too. Have you ever paid money on your credit card and wondered why the principal amount didn’t go down, too? It’s because a bulk of your payment went to the full finance charge because you waited until the end of the grace period to pay it. You would think that the credit card companies would tell us this, but that’s not always the case. We have to take the initiative and find out this information on our own. I called each of my credit card companies and found out when my billing cycle begins and ends each month. One of my credit card billing cycles run from the 11th of one month to the 12th of the next month which lets me know that the interest on my balance starts to accrue on the 12th of every month. I have a few other credit cards with similar billing cycles and decided that I’d pay all my credit cards on the 15th of each month prior to their respective due dates. For example, for my October payment, I’m actually paying my bill on 9/15/10 because it’s a few days after my billing cycle closes and more of my payment will go to the principal instead of interest. Plus, I don‘t have to worry about those pesky late fees. So you’re actually paying your bills way in advance instead of waiting until the last minute when they’re due. Here’s my simple advice: get current on all of your credit card bills, find out your interest rates, and find out your billing cycle open and close dates. Once you figure all of this out, eliminate your debt by strategically paying less interest by paying your bills in advance, a few days after the billing cycle closes instead of on the due date the credit card companies tell you to pay by. You will see your balances diminish and you’ll save a bundle in interest and late fees. Like that InRoads workshop facilitator said, “Being on time is late!” especially when it comes to paying your credit card bills. I hope this information was helpful. Let me know if you have any questions. P.S.- Remember, everything has beauty including YOU. It just takes a true D.I.V.A to see it! I had no idea that I didn’t have to pay all of those finance charges if I only paid my bills before the due date and closer to the close of my billing cycle the month prior to when my bill was due. This will save a sister alot of money interest and help me pay those bills off in no time. I think I understand what you’re saying. I sounds like one should double up to always be ahead. I have to call about the cycles to be more specific to my situation. I appreciate the information because I’ve been going to free money school workshops held in my State, from “Purse to Porfolio” and although I have paid off two cards, I still have a way to go. I am determined to accomplish the task in the next two years. I will be debt free. I opened a Christmas Club to assist me in my endeavor. I don’t celebrate the holiday the way most people do. I never did. So I decided last year that I’ll double up on my club deposits and use the money to pay off a card or two, in additio to what you’re proposing I’m sure I’ll be out of debt in two years or less. That’s just credit cards.My school loan will be next. I’m praying that the President will grant forgiveness to all Human Service workers and child care providers because we are the lowest paid professions the last time I checked and Jesus may return before that loan is satisfied on these salaries.